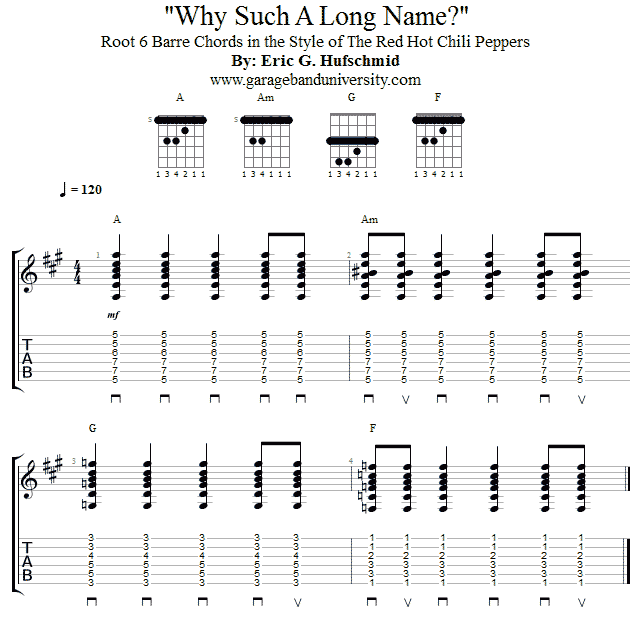 In this lesson we’re going to take a look at another barre chord riff, this time it’s in the style of funk-rockers the Red Hot Chili Peppers, known for both their heavy grooves as well as their ballads. You really have a lot more control with barre chords making it much easier to create different rhythmic patterns when compared to open chords, thus making them a favorite for the RHCP. We really hope you guys like the riff! We know these barre chords are tough, but try to get the riff as good as you can!